Your two-week adventure through Chilean Patagonia begins with five days of luxury expedition aboard Le Boreal, first rounding the famous Cape Horn and sailing along the Beagle Channel, then crossing the Strait of Magellan, which separates Tierra del Fuego from South America. Then sail in the Chilean fjords, where majestic glaciers seem to meet the ocean. From Puerto Natales, discover UNESCO World Heritage Site Torres del Paine National Park, one of the most beautiful places on Earth. Le Boréal then heads to Tortel with its unmatched architecture. Be captivated by Puerto Montt's incomparable beauty, and discover the town of Castro on Chiloe Island. Land in the legendary port of Valparaiso and discover this valley of paradise. 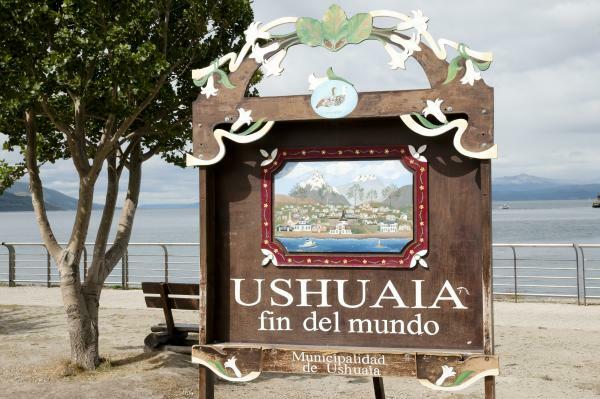 Fly from Buenos Aires to Ushuaia (included in your cruise fare). Meet and greet at Ushuaia airport. An optional excursion is offered to Tierra del Fuego National Park (extra cost) OR you may opt to transfer to the Arakur Hotel for lunch and time at leisure. Capital of Argentina's Tierra del Fuego province, Ushuaia lies in a bay opening into the Beagle Channel at the country's southernmost tip. Its colorful houses are framed against towering mountains, snow-capped in winter and summer alike. Downtown, the End of the World Museum showcases Tierra del Fuego's natural and indigenous history. 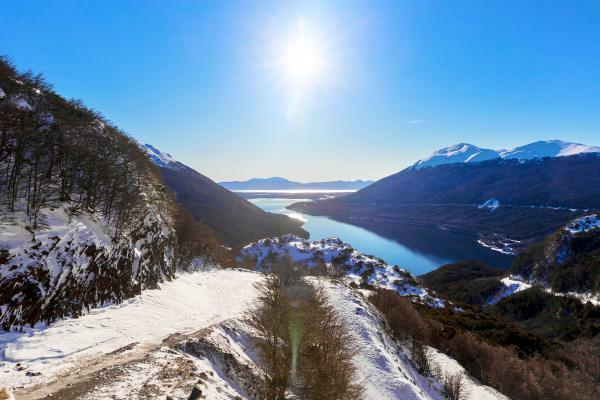 A ride on the heritage railway is an exciting excursion into the Tierra del Fuego National Park, while a cruise in Ushuaia Bay is the perfect way to spot sea lions and Magellanic penguins. Together with Cape Horn and the Strait of Magellan, Beagle Channel is one of the few shipping routes connecting the Atlantic and Pacific Oceans. Measuring approximately 240 km long, it marks the border between Chile and Argentina and owes its name to the HMS Beagle, a British ship which carried out hydrographic missions in South America in the 19th century. As you cruise along Beagle Channel, be sure to take in the beauty of the surrounding landscapes, set against a backdrop of sumptuous snow-capped Andean peaks. Darwin traveled this same route during one of his trips around the world. This mythical strait situated in the south of Chile and separating South America from Tierra del Fuego awakens your imagination, stirring up a longing for adventure. 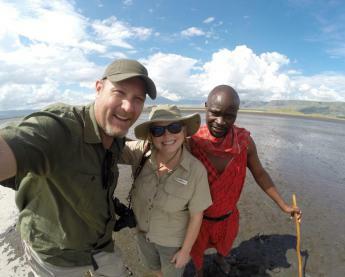 For the first time, follow in the footsteps of the famous Portuguese explorer Ferdinand Magellan, known for having organized the first circumnavigation of the globe in the 16th century. 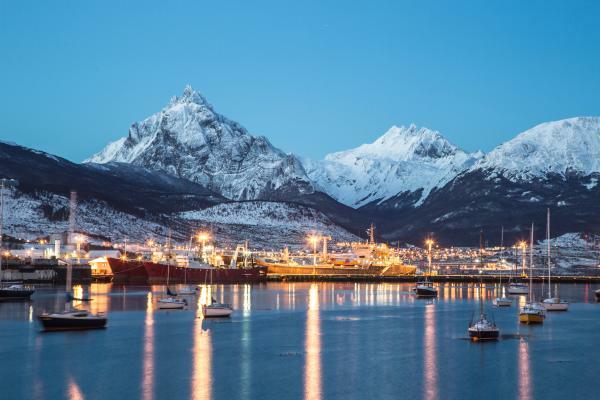 Aboard your ship, cruise along the 600 km separating the Atlantic Ocean from the Pacific and, before arriving in Ushuaia, discover the sea route which was long nicknamed “Strait of All Saints” because Magellan’s ships first entered it on All Saints’ Day. Located in the heart of Chilean Patagonia, capital of the Última Esperanza province, the village of Puerto Natales wins you over with its brightly colored houses nestled in the shade of the Andes. A walk along the coastal Pedro-Montt Avenue gives splendid views of the Almirante Montt gulf, a stretch of crystalline water that links Puerto Natales to the Pacific. The Museo Historico documents urban and rural life and the indigenous history of the environment. Puerto Natales is also the closest town to the spectacular Torres del Paine National Park, a 181,000-hectare reserve protected by UNESCO. 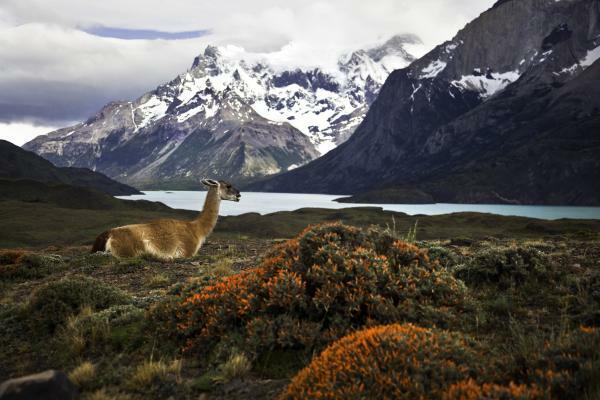 Torres del Paine National Park - length: 10h. Early in the morning depart from the pier in direction to the Park, 70 miles / 120 kms away. Appreciate the most spectacular worldwide reserve at the end of the world. Torres del Paine National Park covers an area over 242.000 hectares, welcoming a fertile combination of lakes, lagoons, waterfalls, glaciers, hills, and peaks, where it is possible to admire different forms of life in their natural state. 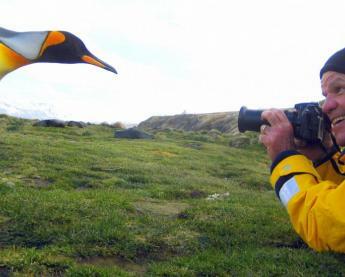 Inside the area, the road is surrounded with dozens of lagoons covered with grasses and aquatic birds, contrasting with small hills where flocks of guanacos pasture. Enter Sarmiento Lake where you have your first stop inside the Park. Afterwards, continue towards the Nordenskjold Lake that bathes the mountainside of the Paine range with its emerald-green coloring. The lake gives life to the impetuous Salto Grande (big waterfall), forming the quiet Pehoe Lake spilling its waters from the Nordenskjold Lake. Here a 45-minute walk is the big opportunity for closer pictures of the Salto. The journey continues skirting the Paine River passing by the headquarters of the Serrano River until you reach the Serrano River area, a peaceful and beautiful place, where you can admire the other part of the park. Lunch is served at one of the hosterias in the park. After lunch, enjoy a relaxed and beautiful return to Puerto Natales, taking a shorter road (around 55 miles only). On the way, stop at 3 different beautiful viewpoints to catch your last pictures. Hiking in Torres del Paine National Park - length: 13h. Early in the morning depart from the pier towards the park (70 miles/120 kms away), the most spectacular worldwide Reserve at the end of the world. From Puerto Natales, drive to Cerro Castillo. On route, some stops may be made, depending on the animals seen. Continue towards an alternative entrance, Lago Sarmiento area. Here you have the opportunity to see guanacos. Start a great walk uphill for about 4 kilometers, reaching no more than 500 meters along a gravel and grass trail, admiring constantly the Paine mass. You may have a chance to observe great fauna: condors, guanacos, and rhears, among others. After reaching the top of this hill, hike down the "hill" for other 4 kms until reaching the Laguna Amarga entrance to the park, where your coach awaits you. Continue to Nordenskjold Lake viewpoint. The journey continues skirting the Paine River, passing by the headquarters of the Serrano River until reaching a peaceful and beautiful spot where you can admire the other part of the park. Lunch is served at one of the hosterías in the park. After lunch, head to the Salto Grande area to observe its waterfall. Walk some 400 meters each way (normally cold and windy). After some time on site, reboard your coach and drive back to Puerto Natales via the same road used early in the morning. A picturesque, colorful fishing village, Tortel boasts a splendid location in the heart of southern Patagonia, halfway between Puerto Montt and Cape Horn. From the little streets made up of small walkways, fall in love with the grand panorama of rounded mountains, dense forest, and the clear waters of the Pacific. If you walk out onto one the many wooden pontoons, you can admire the views as you stand suspended a few meters above the water. The village is scattered with sculptures made by local artists, an excellent introduction to this friendly community. A picturesque stopover in southern Chile, the colorful city of Puerto Montt is the capital of the Lakes District. Here discover reminders of its colonial past at the Plaza de Armas and neoclassical cathedral. The Manuel Montt lookout offers stunning views of the bay's sapphire beauty. Close to the town, the peaceful banks of Lake Llanquihue are conducive for a relaxing walk and the quaint, traditional villages of Puerto Varas and Frutillar are well worth a visit. Petrohue Rapids - length: 4h15m. Leaving the pier head north into the Vicente Perez Rosales National Park up to Petrohue Rapids. The mighty Petrohué is one of Chile's most beautiful and exciting glacial rivers, and you are sure to marvel at the spectacular scenery of ancient forests, waterfalls, and breathtaking views of the surrounding mountains and volcanoes. Upon arrival to the rapids, you can enjoy the spectacle of the inky-green waters as they crash through lava channels formed after the eruption of the Osorno in 1850. Walk along several paths through the forest to reach the picturesque setting with the series of emerald-green rapids against a backdrop of mountains. Back on the bus, drive to Todos Los Santos Lake on a gravel bumpy road. The lake is also known as Emerald Lake for the color of its waters. Enjoy some 10 to 15 minutes at leisure to walk around and take pictures. At agreed time, re-board your tour bus to drive directly to the pier in Puerto Montt. Petrohue Rapids & Todos Los Santos Cruise - length: 8h00. Leaving the pier you will head north into the Vicente Perez Rosales National Park. 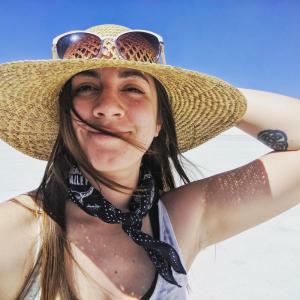 After a 1 1/2 hour drive, board a motorboat for your 45-minute cruise on the Todos los Santos Lake, also known as Emerald Lake for the color of its waters. During your cruise, enjoy the beautiful forests with Coigües, Ulmo,s and Olivillos and the snow-covered volcanoes Osorno, Puntiagudo, and Tronador. After the cruise, board the bus for the drive to Petrohue Rapids. Walk along several paths through the forest to reach the picturesque setting with the series of emerald-green rapids against a backdrop of mountains. Back on the bus, drive to Ensenada area to stop for lunch at one of the local restaurants. Your tour continues towards Puerto Varas, known as the City of Roses, where, weather permitting, you breathtaking views of Lake Llanquihue and the impressive snow-covered, perfectly shaped Mount Osorno. After free time around this peaceful place and photographing its spectacular views, return to Puerto Montt to board your ship. Puerto Montt, Puerto Varas and Frutillar - length: 4h15m. Enjoy a pleasant city tour of Puerto Montt, capital of the Lake District, and the nearby scenic towns of Puerto Varas, and Frutillar. Start your tour with a pleasant drive through Puerto Montt streets to appreciate the colorful shingled houses and the neo-classical cathedral in the Plaza de Armas. After a stop at the city viewpoint where you have a general view of the city and the bay, leave Puerto Montt and travel north passing lush countryside to Puerto Varas overlooking Lake Llanquihue, Chile's largest lake. After this visit continue to the beautiful Frutillar town. Founded in 1856 by German settlers, it is known for its alpine and traditional German-style architecture. Explore this charming city, enjoying a walk along its coastal avenue, and visit the regional museum. At the heart of the Lake District, your ship slips through the calm waters of an archipelago of 40 islands. Chiloe is a lush green island, home to 16 wooden churches that are listed as UNESCO World Heritage sites. Remarkable for their architecture, they are inspired by naval construction techniques. You can also admire the Palafitos, brightly colored wooden houses in stilts which seem to float on the water at high tide. 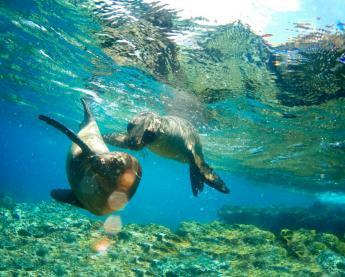 Indeed, before reaching Castro, it is likely that you can have witnessed a truly authentic aquatic ballet, where seals and porpoises swim nose-to-nose with your ship. Castro and its Churches - length: 3h30. Leave the pier to drive to Gamboa Bridge over the Gamboa River, from where you can appreciate the "palafitos", wooden houses built on stilts above the water, something very typical on the island. Continue the trip driving to Vilipulli church. A National Monument, it was built in the 1700s and was visited by Charles Darwin in 1853. Afterwards, continue towards Chonchi, the "three-story town" with its houses arranged in steps on the hillside. Visit the church and walk along its colorful wooden houses to visit the small but interesting Museum of Traditions before driving back to Castro. Back in the main town, visit San Francisco church, built in 1906, and stroll around the main Plaza. Your final stop is at the interesting and colorful handicraft market of Castro. Only a 10-minute stop gives you the possibility to stay longer and walk back independently to the pier. This handicraft market is located only a few yards from the pier area. 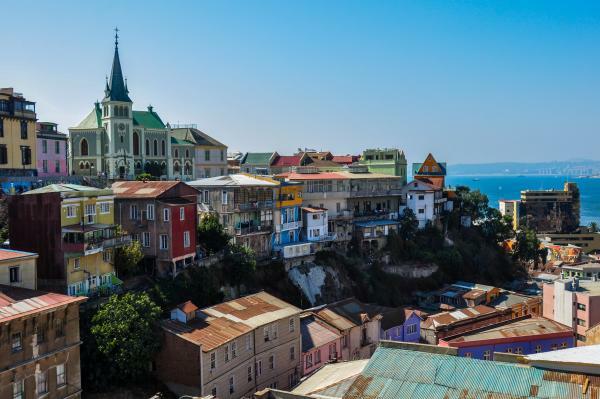 Located about 100 kilometers south of Santiago, legendary Valparaiso is the second largest city in Chile. It is also a splendid city, full of history: two qualities justifying its nickname “gem of the Pacific” and its status as a UNESCO World Heritage site. You can stroll along the steep streets, on foot or by cable car, and explore the many admirable sites like the delicate Iglesia de la Matriz, Sotomayor Square, Bellavista Hill, or Sebastiana house where the author Pablo Neruda lived. At every turn, get a refreshing view of the sea. Vina del Mar and Fonck Museum - 3h30m. Leave the pier towards Vina del Mar city and resort. The first visit in the city is the Fonck Museum. This archaeological and ethnographical museum has an interesting collection of Rapa Nui culture (Easter Island) and archaeological remains on other local inhabitants. The museum preserves archaeological, ethnographic, and historic relics from different cultures that inhabit the Chilean territory, from North to South. Continue the tour with a panoramic drive in Vina del Mar to admire the surroundings. Enjoy a traditional Pisco Sour looking over the ocean. Afterwards, drive back to Valparaiso to visit 21 de Mayo terrace with nice views over the bay. You have some time at leisure to browse many kiosks of local handicrafts before enjoying a funicular ride. Free and unlimited Wi-Fi (Internet access may be slower or in some situations interrupted, depending on certain geographic locations or other circumstances beyond our control).